We want to THANK YOU for joining us last week for the STEREOLOVE 1 Year Anniversary!! It was a blast with many new faces and familar ones we have not seen in a while!! A very SPECIAL THANKS to E REECE, DJ JEDI, TOMORROW YESTERDAY, GIO/BASICALI, REZIN ONE and ORLANDO ROYAL!! We also want to give a VERY SPECIAL ACKNOWLEDGEMENT and a THANK YOU to the LADIES of STEREOLOVE: LOTUSPETAL & PLUSHONE who are moving on to greener pastures but will be participating on future STEREOLOVE COLLECTIVE projects (Such as our up coming appearance at RHYTHM SECTION!! Stay Tuned!). They were the heart & soul of the nite and will always be upheld in high regards of what they brought to the forefront from day one. We wish them the best in their endeavors and support their future projects!! THIS WEEK THE PARTY DONT STOP!!! The brainchild of Soul Icon RAPHAEL SAADIQ , THA BOOGIE appearing live with another RED HOT and ENERGETIC performance!! For those that checked them out last month at STEREOLOVE, they are BACK by popular demand!! A mixture of New Wave Soul -Funk with a very feel good time approach!! You dont wanna miss this one!! 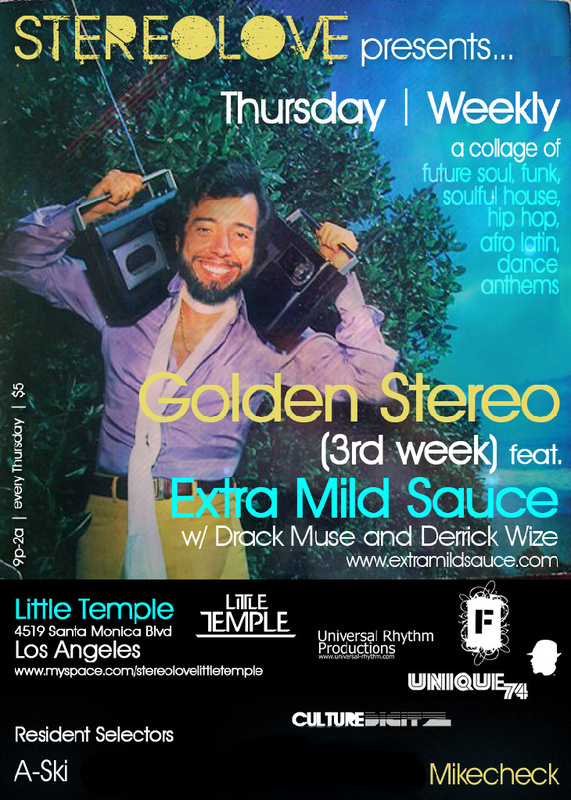 STAY TUNED 4 GOLDEN STEREO NEXT THURSDAY!!! This entry was posted on May 11, 2010 by unique74mag. It was filed under Unique 74 and was tagged with Little Temple, Progessive!, Raphael Saadiq, Soul, Stereolove, Tha Boogie, Unique74.